Pasha de Cartier by Cartier is a Woody Aromatic fragrance for men. 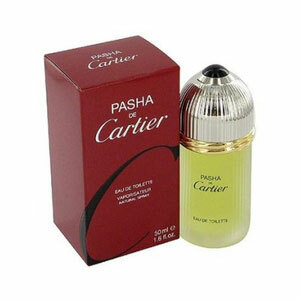 Pasha de Cartier was launched in 1992. The nose behind this fragrance is Jacques Cavallier. Top notes are lavender, mandarin orange, mint, caraway and anise; middle notes are coriander and brazilian rosewood; base notes are labdanum, sandalwood, patchouli and oakmoss.